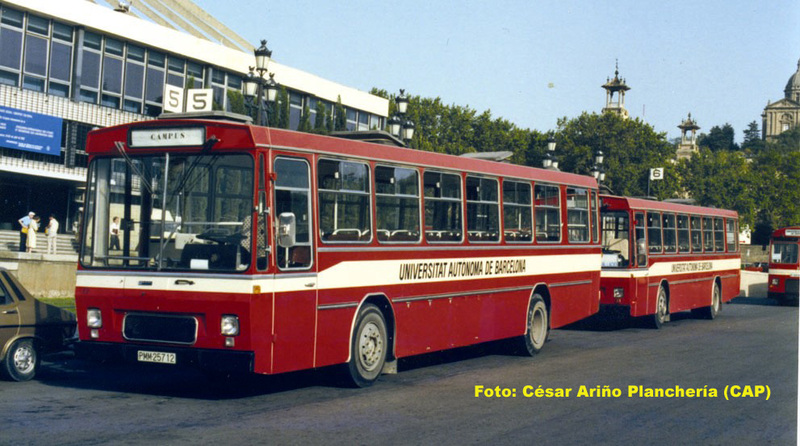 The Universitat Autònoma de Bellaterra acquired six new vehicles Pegaso 5023-CL in 1975 in order to provide shuttle service between the distant railway stations and the faculties. 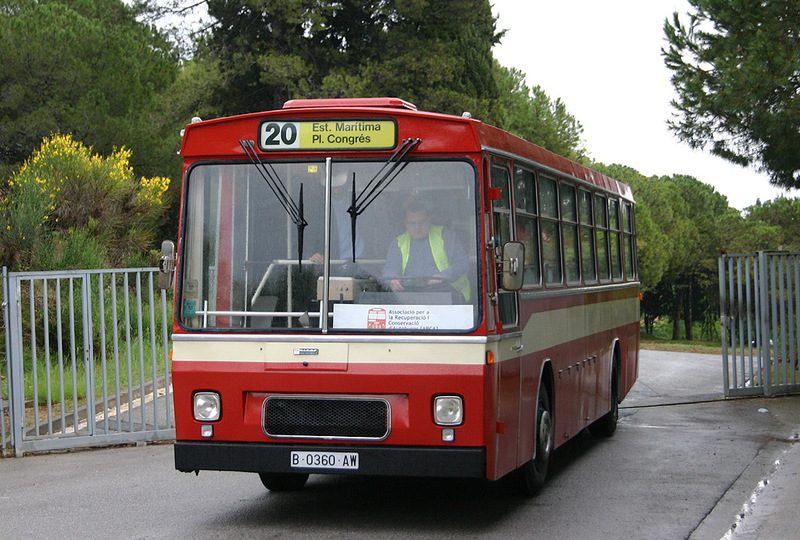 They were numbered 21 to 26, having as special feature its double registration number: the one they were carrying, which made reference to the purchaser, the Parque Móvil de Ministerios (PMM-xxxxx), and the official registration (B-xxxx-AW), which was never used, with the exception of nº 21. 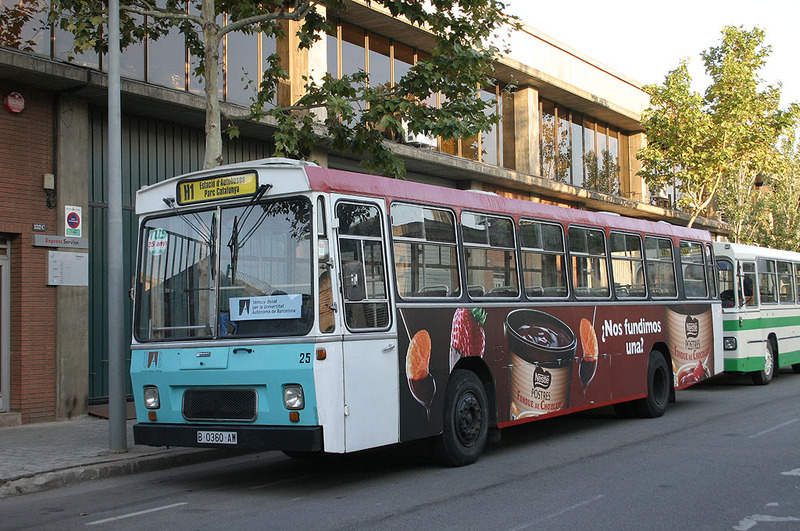 These vehicles replaced the 6 Chausson ex-Transportes de Barcelona, which were approaching their 20th year of service. 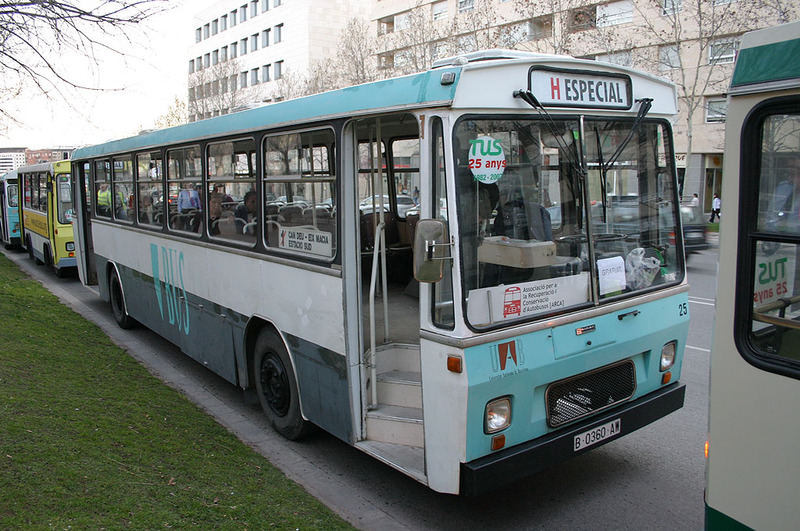 As the railway operator Ferrocarrils de la Generalitat reached the Campus centre during the mid 80s, the shuttle service would concentrate in Cerdanyola’s RENFE station. 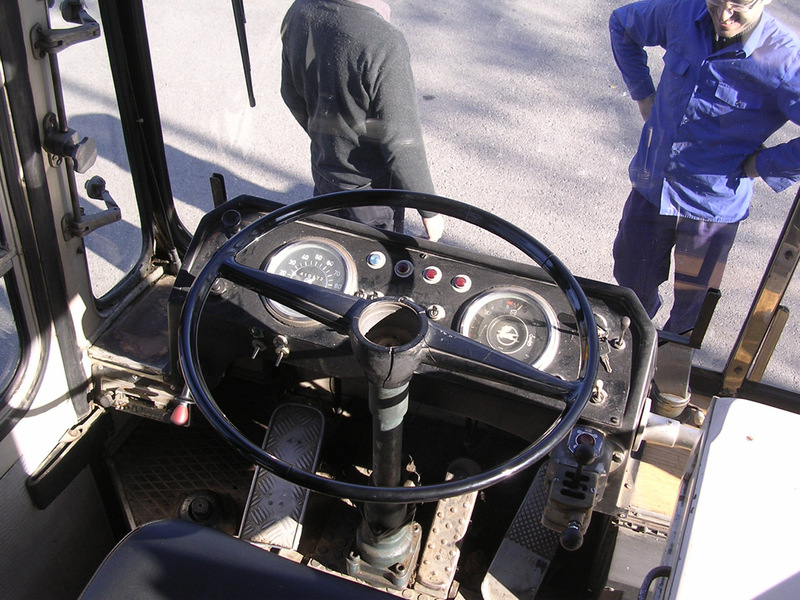 However, the University was constantly growing as well as traffic congestion on its access roads, making necessary substantial service increases. 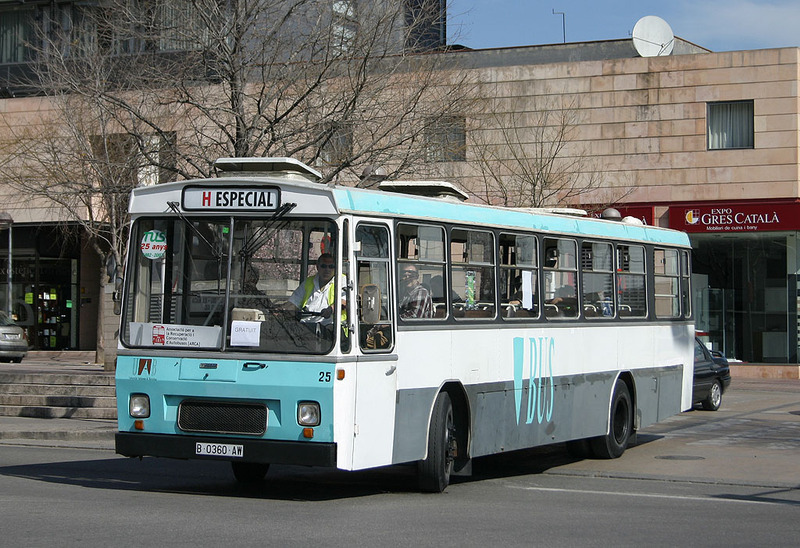 Therefore, between the end of the 80s and 1992 up to 14 artic buses Pegaso 6035-A ex-TB were acquired, providing more capacity. 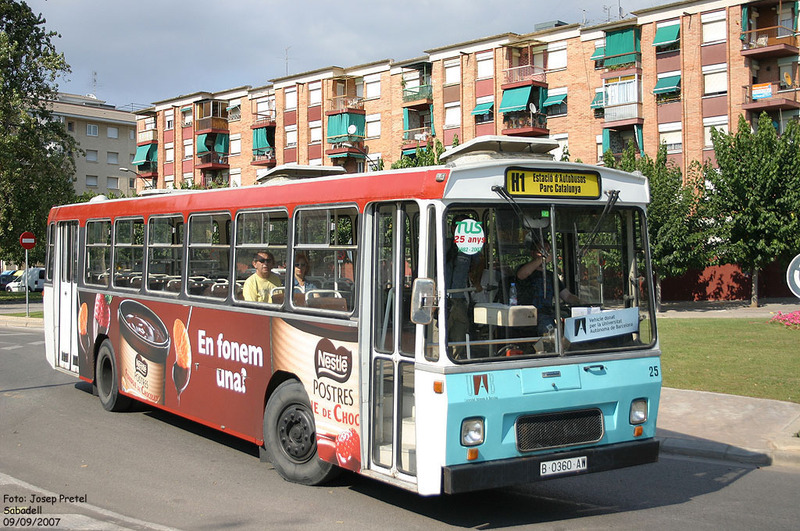 Series 21-26 were progressively shifted to reinforcement service tasks and after 1993 they would be progressively withdrawn, shortly after arrival of RENFE near the Campus during the early 90s, which considerably shortened the shuttle route. 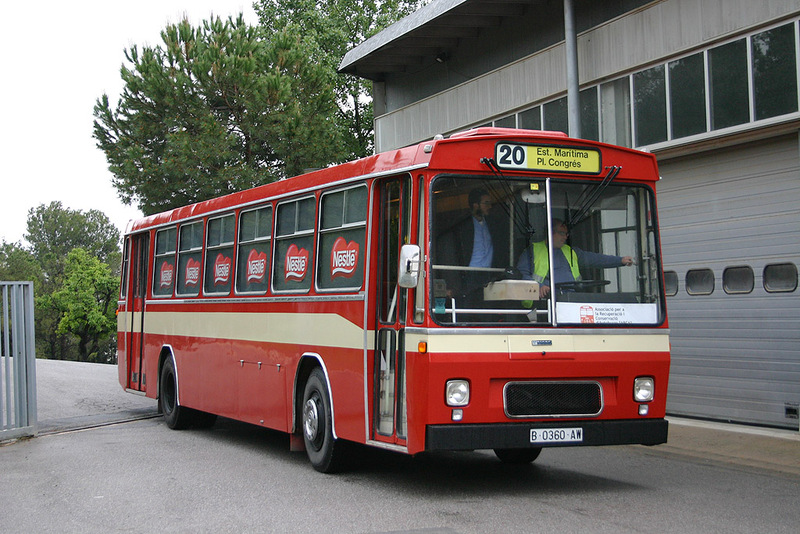 As second-hand Pegaso 6420 ex-TMB were acquired they would be definitvely withdrawn. 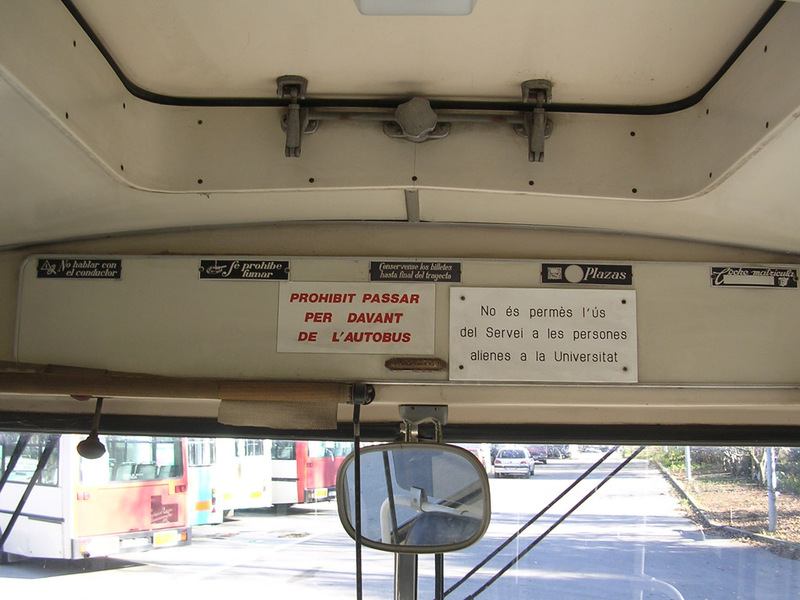 Only nº21 would survive in operational state with registration B-AW, to make sporadic promotional outings for the UAB. 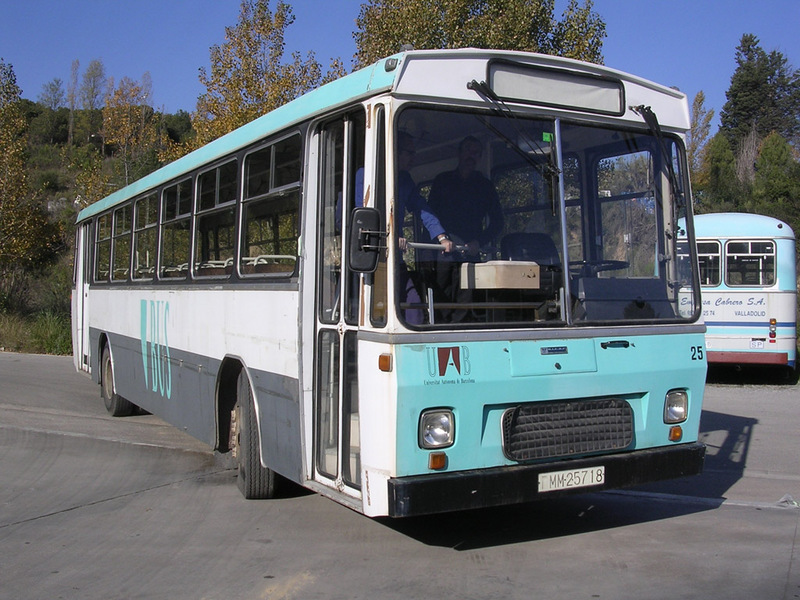 After withdrawal during year 2003 and up to December 2006 four vehicles remained at the UAB depot: 21 (sporadic service), 23, 25 and 26. 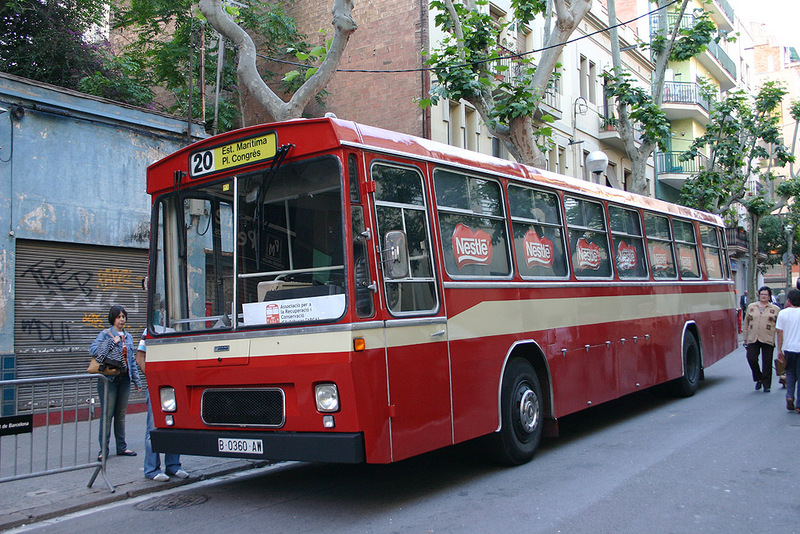 At present, nº 21 is preserved by the Universitat Autònoma de Barcelona, while nº 23 was preserved by Madrid’s AAAC – and, as this association disappeared they would go to Team ALVI – and nº 25, preserved by the association ARCA. 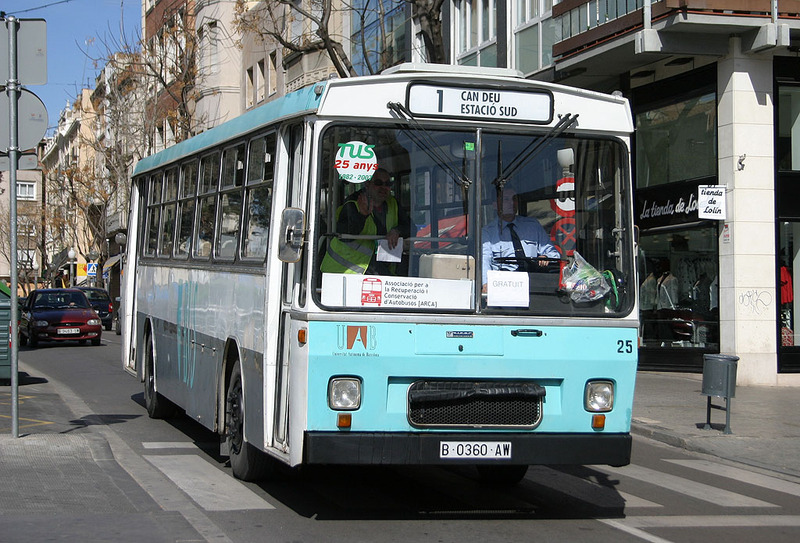 The vehicles have been donated under the condition to restore them with any of the original Universitat Autònoma liveries. 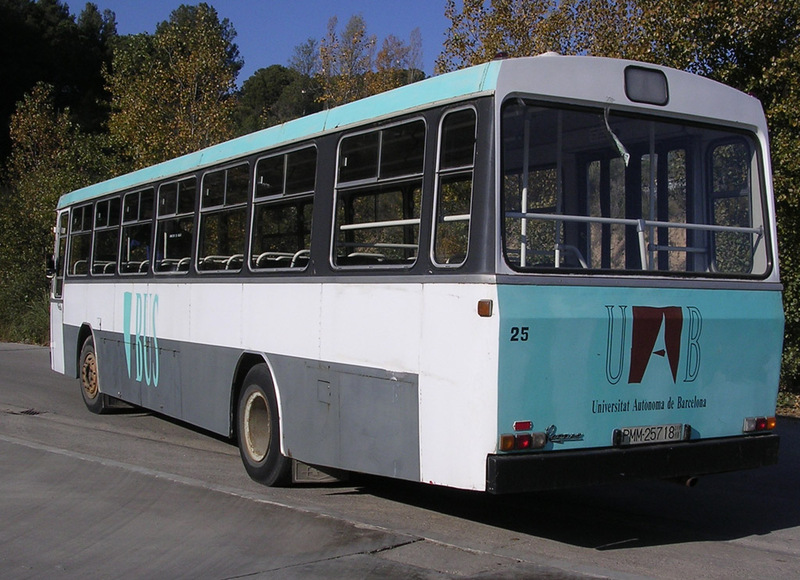 After the first restoration process, nº 25 was repainted in April 2008 with the original colour scheme of the UAB fleet. 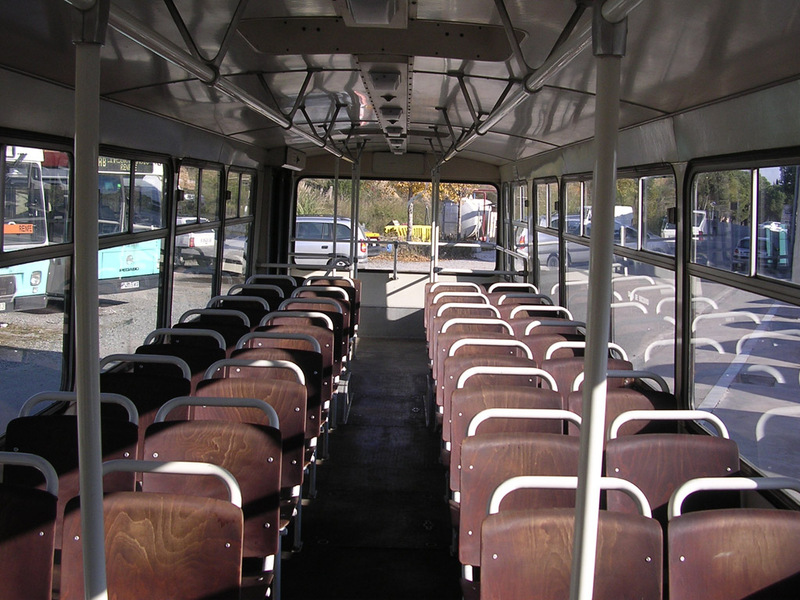 It would remain thus until year 2012 when it was put undercover because of its deterioration and at present (2017) it is awaiting structural refurbishment. Joaquin on En Pere Arriola descansa en pau. 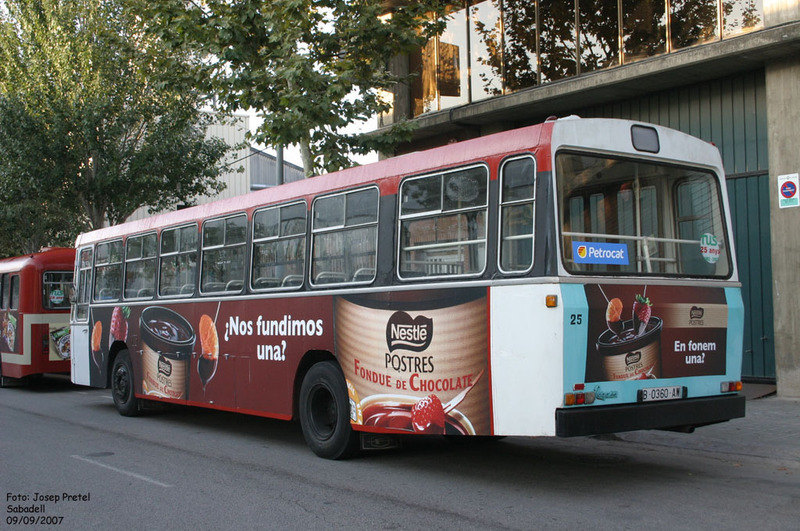 Ferran Salla on En Pere Arriola descansa en pau.